Winnie is available for adoption. In 2017 the Humane Society of the Pikes Peak Region brought joy to families with 11,925 pet adoptions and oversaw 1,371 pets in foster care. 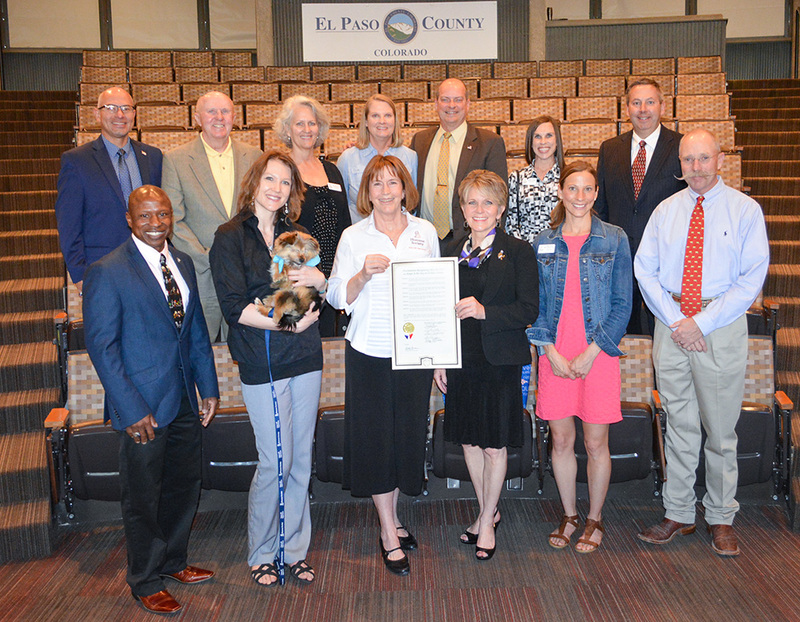 At its meeting on Thursday, the Board of El Paso County Commissioners unanimously approved a Proclamation in honor of Adopt-A-Pet Day, May 10, 2018. 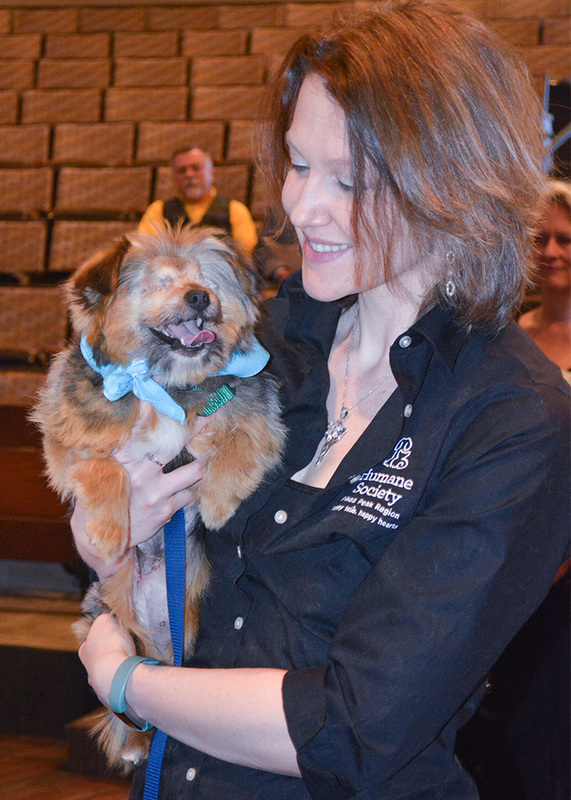 McHugh-Smith introduced Winnie, a small dog that is up for adoption. The six-year-old dog had to be relinquished from its family because they could not afford veterinary care. The Humane Society provided surgery for the dog, which had an infection bad enough both of Winnie’s infected eyes had to be removed. “People can be better together by having a wonderful homeless animal in their household. They bring unbelievable joy, compassion and endless love,” McHugh-Smith said.